Great time of year to volunteer……. 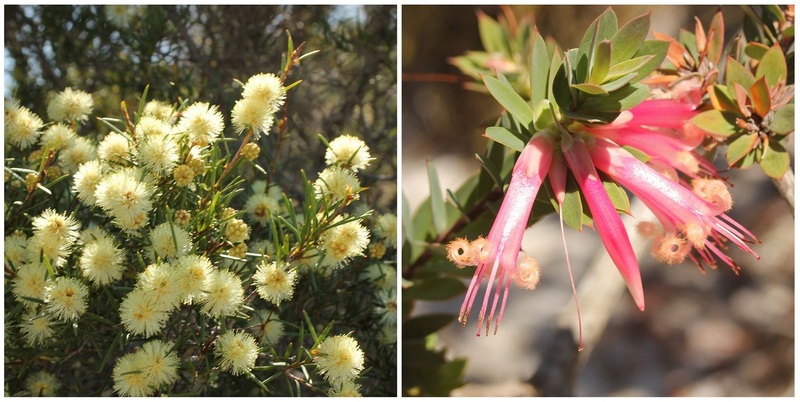 There are so many wildflowers out at the moment on the Headland, so if you’ve ever thought about joining us for a morning doing bush regeneration now is the perfect time. 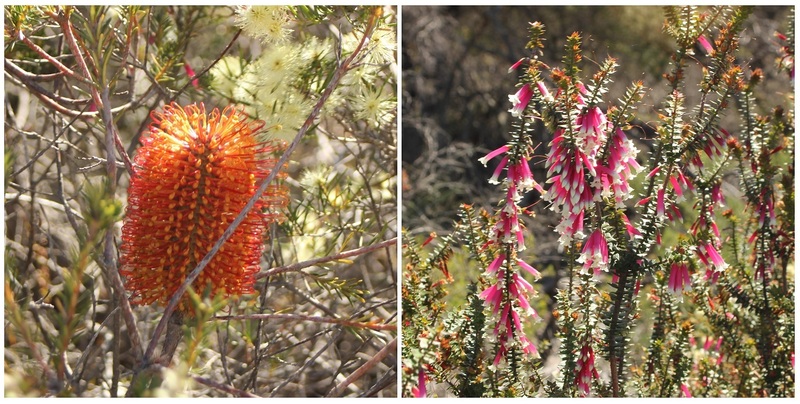 While there is always something to see, at this time of year there are extraordinary displays of red and white epacris flowers, yellow flowers of the melaleuca, bright red bottle-brush flowers, banksias and so many more. 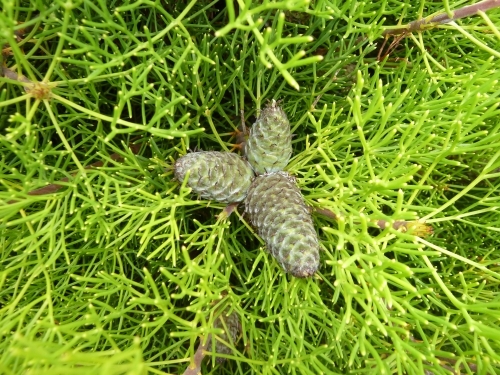 For more information about volunteering with our regular Thursday and Sunday bushcare groups, click here. 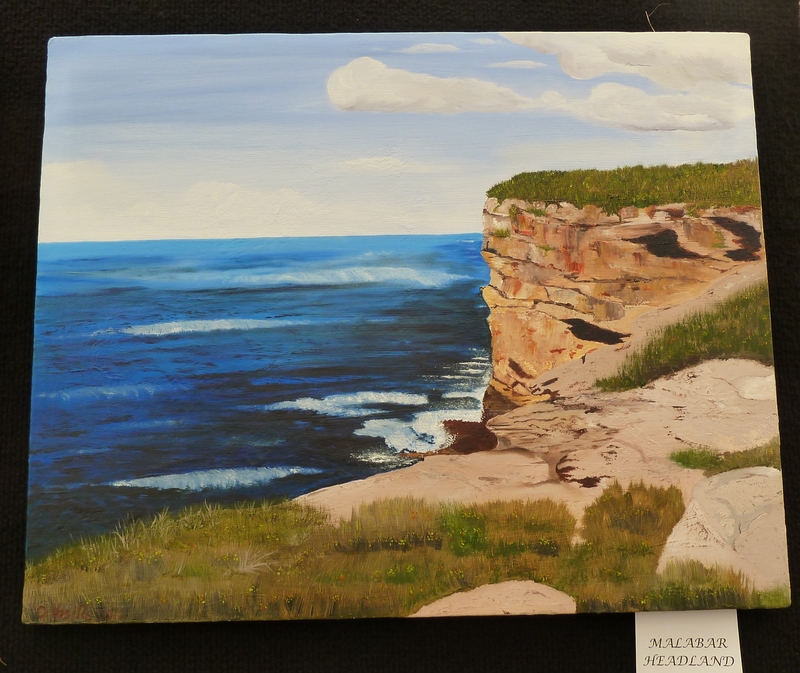 Friends of Malabar Headland has for some years sponsored a special prize in the South Maroubra Art Show. 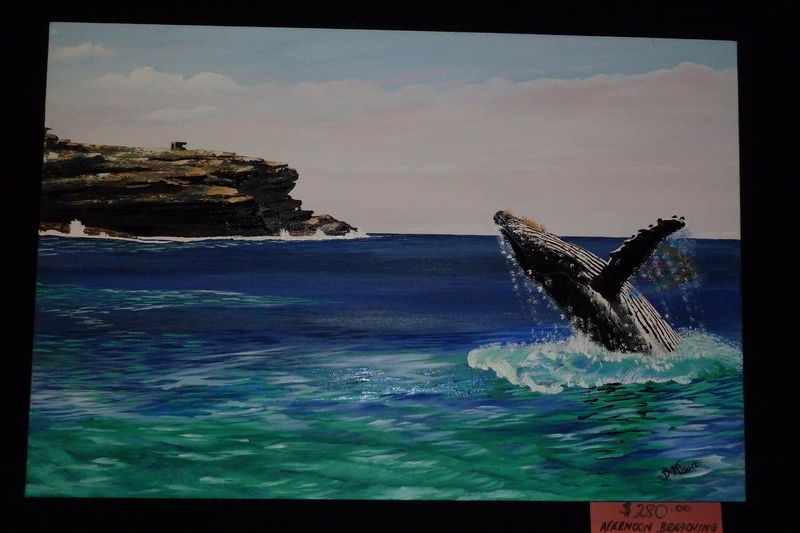 The Art Show is an annual event held in early November, organised by the South Maroubra Art Show committee headed by Marilyn Jeffries, and held over three days in a marquee opposite South Maroubra shopping centre. 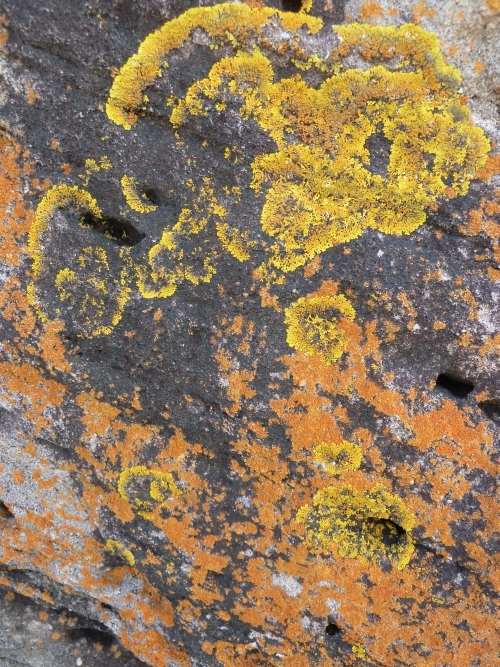 The FoMH segment asks entrants to portray some aspect of the natural beauty of Malabar Headland, to show what a special place the Headland is, and why it must be preserved and protected. FoMH has a stall at the Art Show, and visitors can make their views known via letters to the state and federal government ministers who are responsible for the headland and its future. Congratulations to David and Christine, and to everyone who entered, and to the South Maroubra Art Show committee on organising this event. We look forward to the next South Maroubra Art Show! 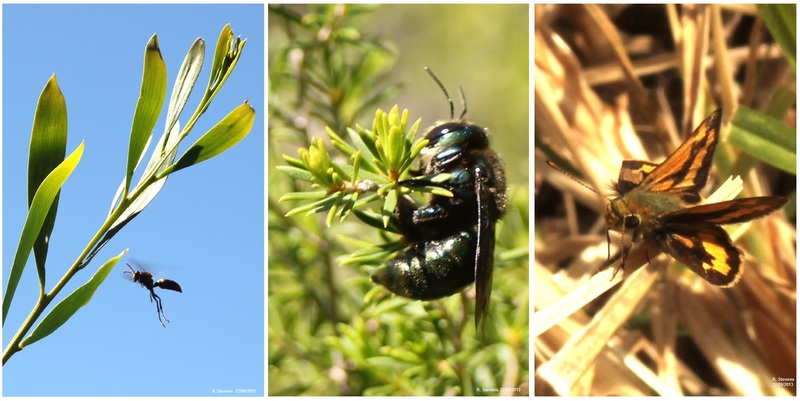 Here are some great photos taken by Russell Emerson on a recent FoMH Bush Regeneration Thursday morning. 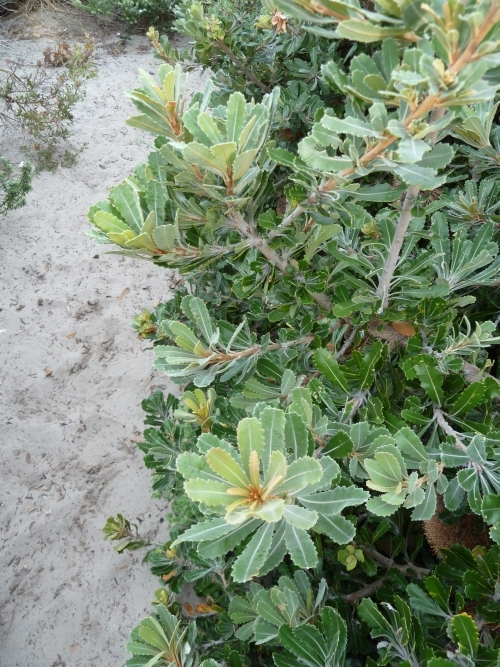 The photos show just how beautiful the Headland is, and the enjoyment you can get in helping to keep it beautiful. Claire tells us that they also saw FOUR pods of whales going south, quite close in, and a lot of baby breachings. 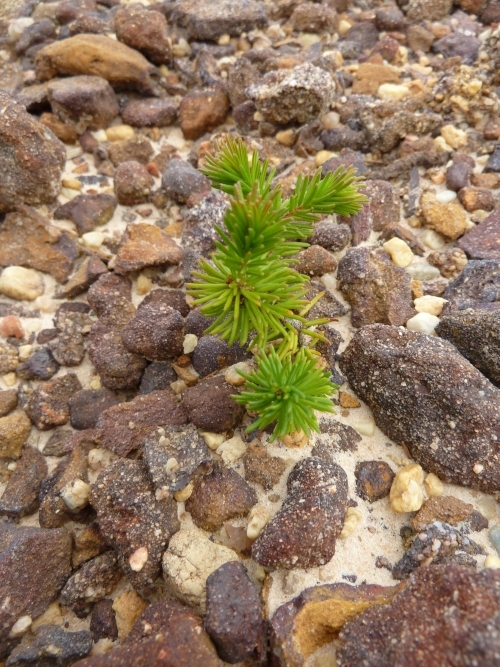 A bush regeneration morning is obviously something not to be missed! 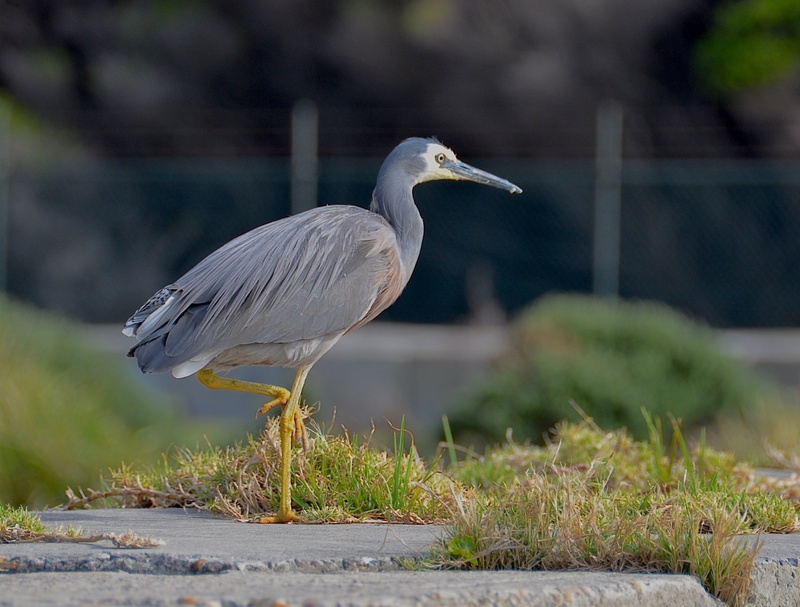 This bird is a White Faced Heron, it was having a vigorous scratch while sitting on the Great Wall of Malabar. 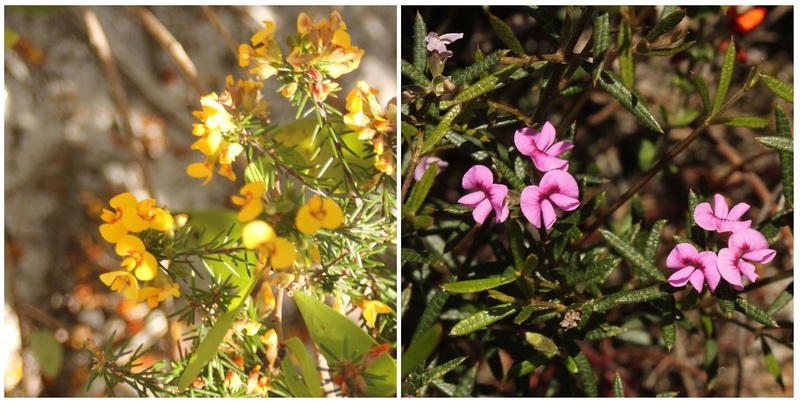 Here are our erstwhile bush regenerators keeping the Eastern Bushland beautiful along what we call Mission Impossible Drive…..
FoMH members are most welcome to come along on Thursday mornings and assist with bush regeneration, weed removal, etc. Contact Claire or Don for details. 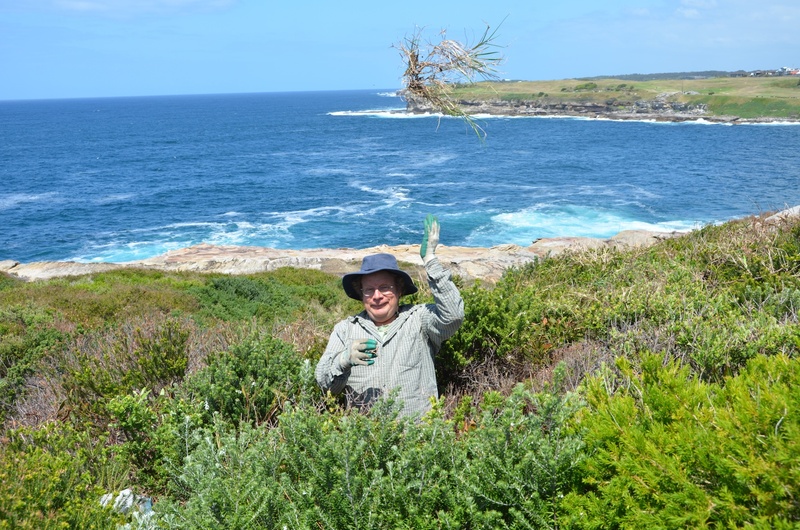 Welcome to the new Friends of Malabar Headland website! This website is based on the popular and efficient WordPress blogging platform and has some great features and a fresh new look. Our Co-Chairperson, Peter Fagan has put this initial content together, and he has done a fantastic job! Thanks Peter! The previous FoMH website served us well for over 8 years, so thanks go to Megan Vazey and many others for its design and content. The old website content, such as documents and images, will be progressively added to this site. We welcome your ideas. One feature of this website is the ability to leave a comment. Comments are moderated, and may take time to appear. So make a comment! Another feature allows you to “follow” the new web site, which means that when we publish a news item or story (blog entry) on the home page, you receive a copy of it by email. To follow us look for “Follow FoMH blog via Email”, on the home page and enter your email address and click Follow. Try it – if it doesn’t suit you you can always “unfollow”! 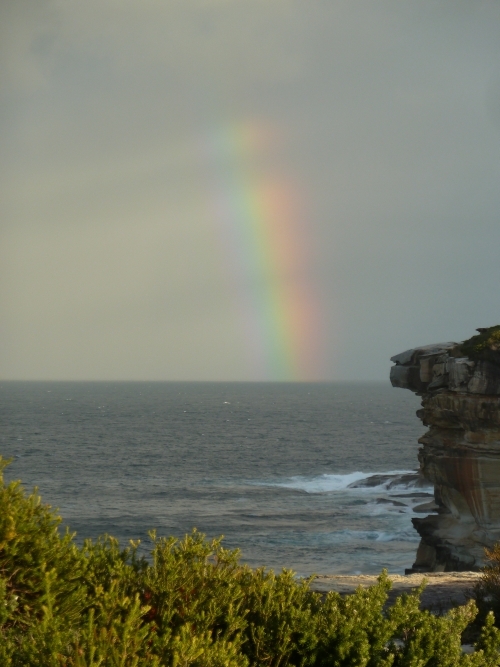 As Friends of Malabar Headland we welcome your comments, suggestions on the website, the Headland and any related issues. Please visit again soon – the site is regularly updated!